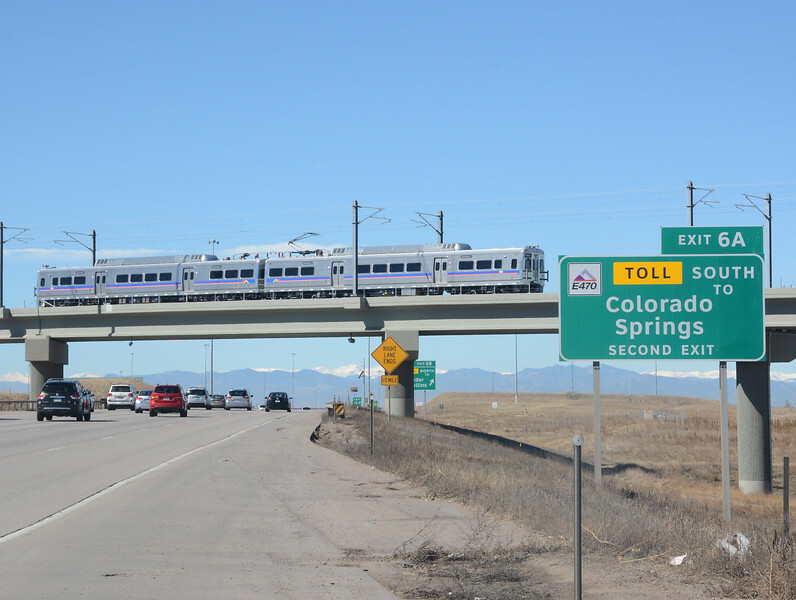 A brand new 25kV railway has been built connecting Denver Union Station in downtown with Denver International Airport, out to the east of the city. Train service starts in April 2016, we watched a couple of test runs on our way out of the airport area. The EMUs are assembled in Philadelphia by Korean builder Hyundai-Rotem.